Warhol’s genius was to take as the subject of his paintings their process of production. or Liz, or Campbell’s Soup that these paintings hold long-term interest and fetch millions at auction, it’s almost in spite of the fact. What’s more important is how they are made, using mechanical reproduction techniques while commenting on the effects of mechanical reproduction. 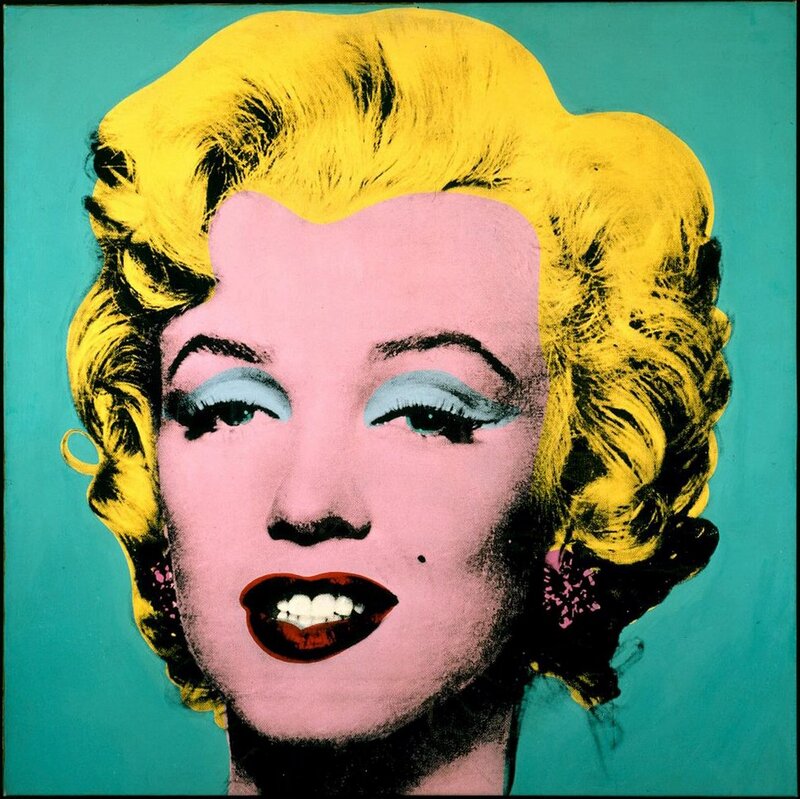 Typically, Warhol, or an assistant (or a visitor to the factory) would choose an image, always one that had already been mechanically reproduced and was in the public domain, or to which Warhol had copyright (the Polaroid portraits). Then the picture would be sent out to a production house to be made into a photo silkscreen. 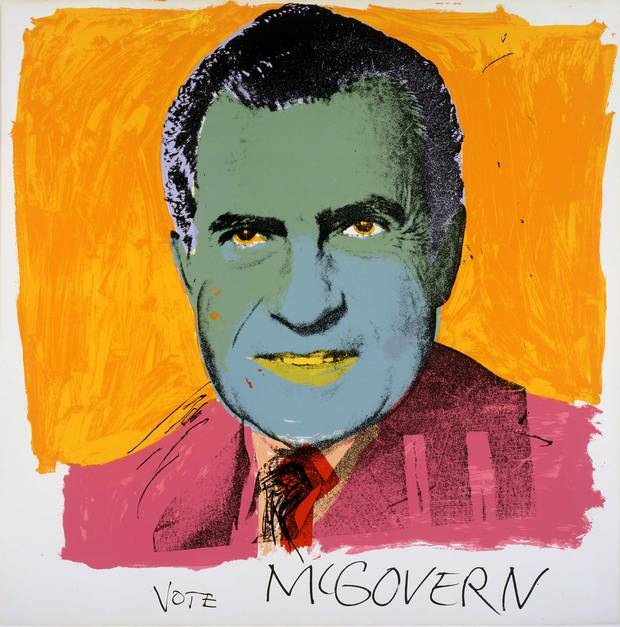 Warhol, or an assistant, would prime a canvas with acrylic paint and rough in the local color, then one of them would squeegee ink through the photo silkscreen stencil on to the canvas. 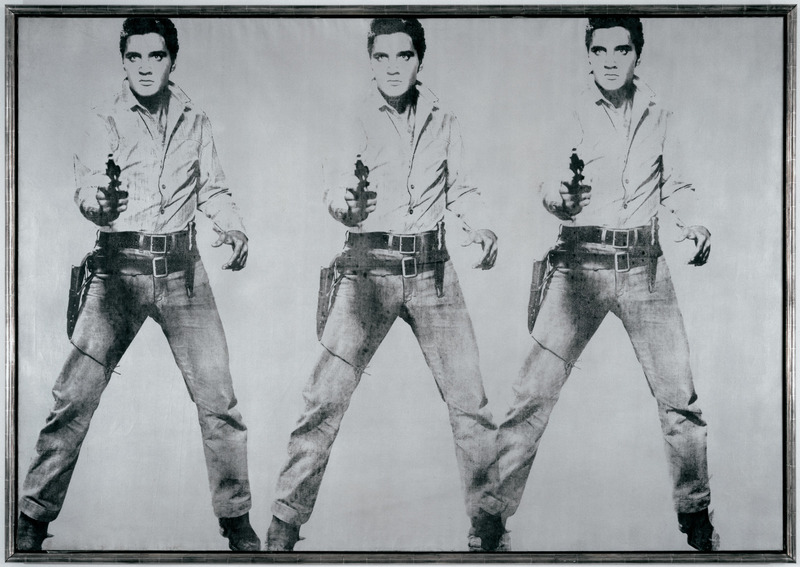 It is crucial to Warhol’s painting that the image is mechanically produced and mechanically reproducible. Sometimes one painting will contain multiple impressions from the same silkscreen. By emphasizing that his images are mass-produced he places his paintings in relation to other, hand-made, one-of-a-kind paintings as pages of text printed with moveable type are to hand-written pages. Moveable type laid the foundation of the mass market. 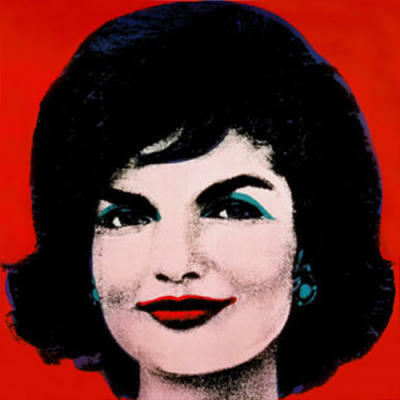 Warhol’s silk-screened images allude to the power of moveable type to create and inform the mass market. His public domain heroes and villains are flattened by his painting process into brand logos to take their place beside Tony the Tiger, Colonel Sanders and Betty Boop. And so Fame: how it is manufactured and sustained is the subject of Warhol’s art. The essential equivalence of Marilyn Monroe’s face and bottle of Coke is their great insight. To Paint or Not to Paint Water, That is the Question.